Hey, it’s finished I think! 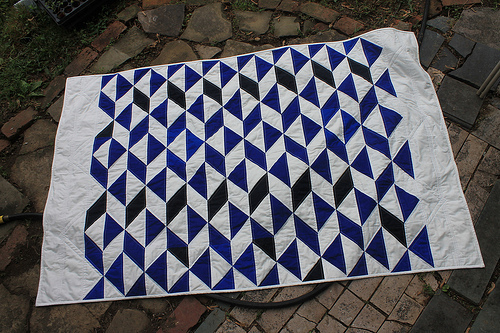 I am happy with this quilt – I saw this design on a copy of Jane Eyre and couldn’t get the design out of my head. It’s just flying geese blocks! 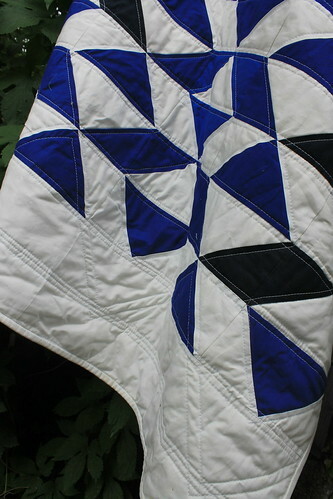 I added in the navy, which looks black but it was navy before I put it in the quilt. 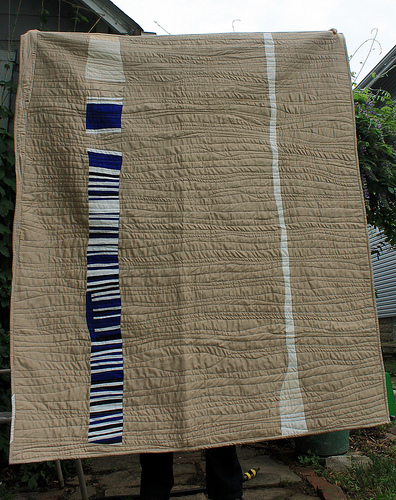 I am entering this into the two color category of the Bloggers Quilt Festival. 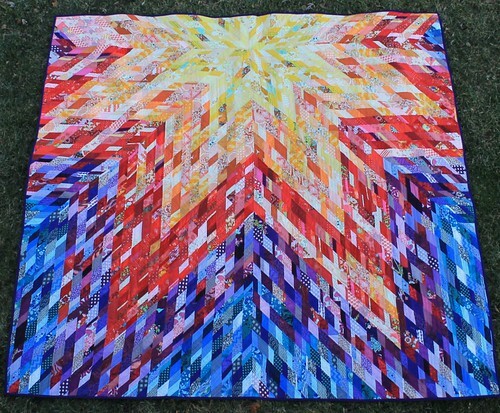 Not to toot my own horn, but I actually won the bed quilt category last fall with my Rainbow Derecho Quilt. 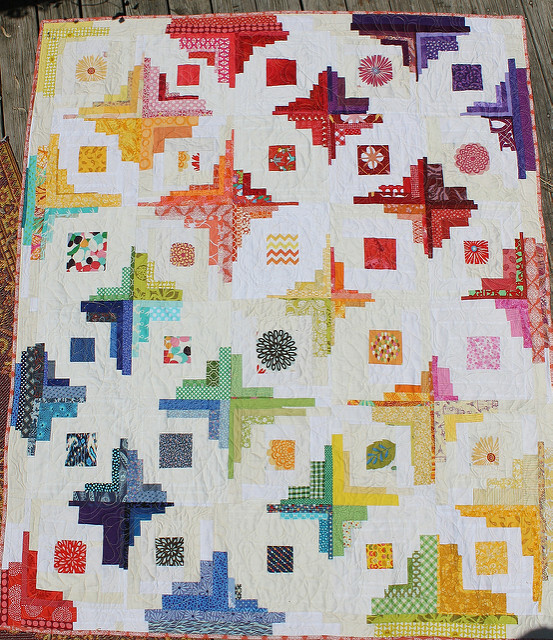 This one is more modest but I thought I’d throw my hat/quilt in the ring anyway; I also put in a scrap quilt. 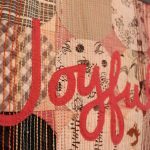 I love all the amazing quilts that show up for this on-line festival! 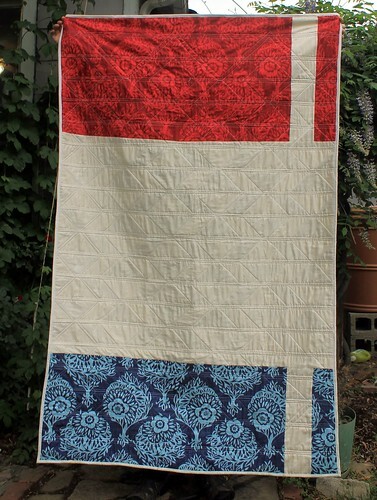 In fact I am totally addicted to looking at quilts this morning. 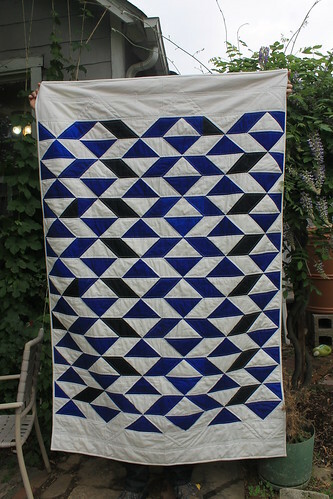 I wanted the pattern of the navy blocks sort of regular, sort of weird. 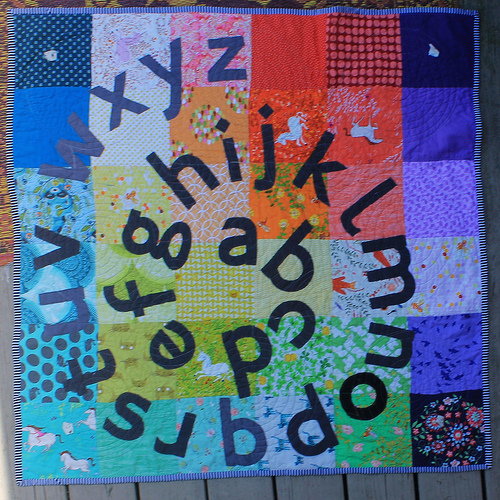 I love quilts with a little weirdness. 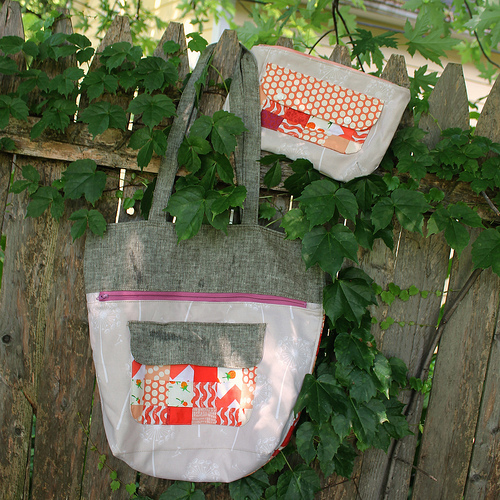 For the back I wanted to find a fabric that looked like the old fashioned flowery linings inside books. 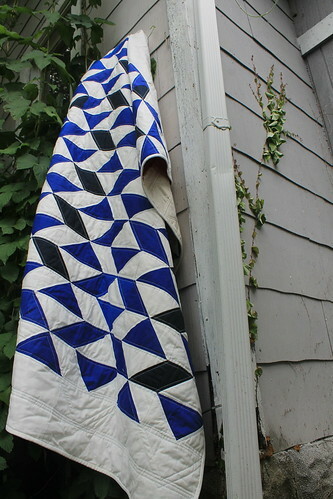 I thought this Anna Maria Horner print did the trick while still being interesting. 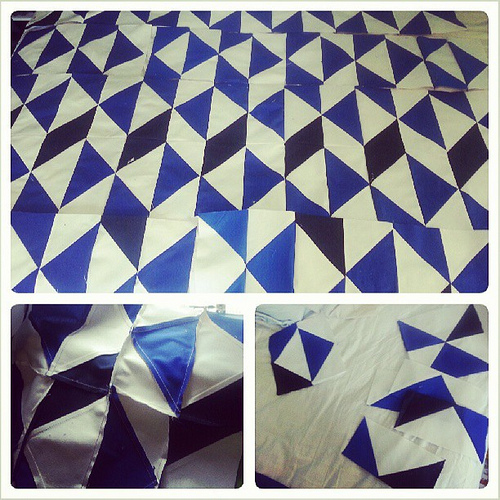 And it looks like a French flag, as my sweetie points out. 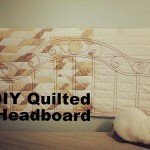 I also used my new favorite quilt backing – organic sheets from Target. I love that they have a satin finish, and are organic! 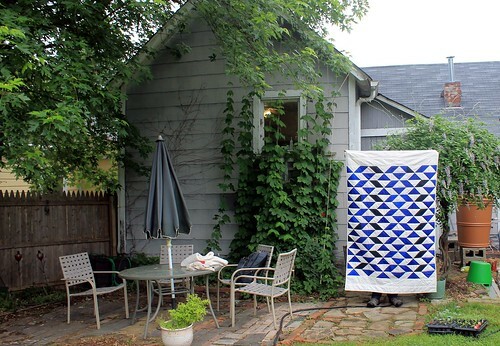 Now that it is warmer, it’s more fun to take pictures of quilts around my shabby little cottage. 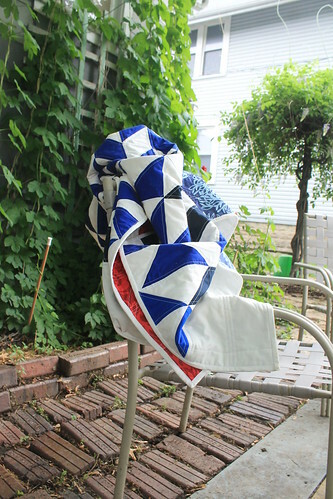 Here it is in all the lived in garden time crazy. Those are hops growing up the side of the house. And one last picture, because why not! 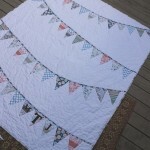 I like the way it looks crumpled up. Wow – I’ve never seen flying geese used that way before! Very cool.